Industrial sandblasting is an older technology but still very effective for certain applications. The professionals at Powerclean Industrial Services will always recommend a process that gets the job done safely and efficiently, and provides the best overall value for our customers. Industrial sandblasting involves spraying silica sand or other media at very high pressure. This process quickly cleans the surface leaving the desired finish. Powerclean takes exceptional care to safeguard its employees and everyone near the industrial sandblasting site. 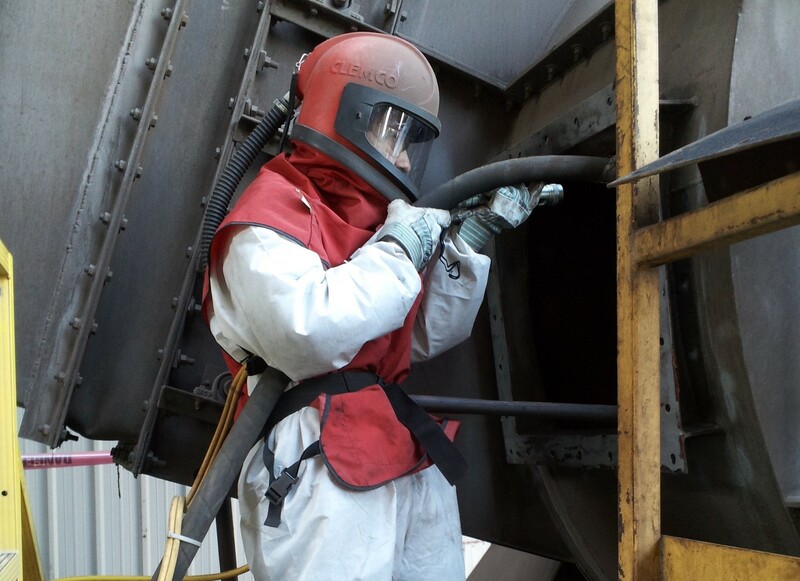 Our crews are expertly trained to deliver quality industrial sandblasting in the safest manner possible. Public safety is also key when working on large projects such as bridges that could involve traffic control. Your facility and jobsite protocols are important to us and we will follow them as we complete your industrial sandblasting project. Industrial sandblasting is suitable for projects of any size including buildings, tanks, bridges and equipment. The benefits industrial sandblasting include deburring, degreasing, roughening, and descaling. Industrial sandblasting has the added benefit of leaving a surface texture that improves the look or functionality of the surface cleaned. For the best in industrial sandblasting and all industrial cleaning contractor and environmental services, call Powerclean Industrial Services. Powerclean meets all OSHA and environmental regulations for its industrial cleaning contractor services. Our mission is excellence in training, safety, response time and the environment, bringing an exceptional value to every customer.